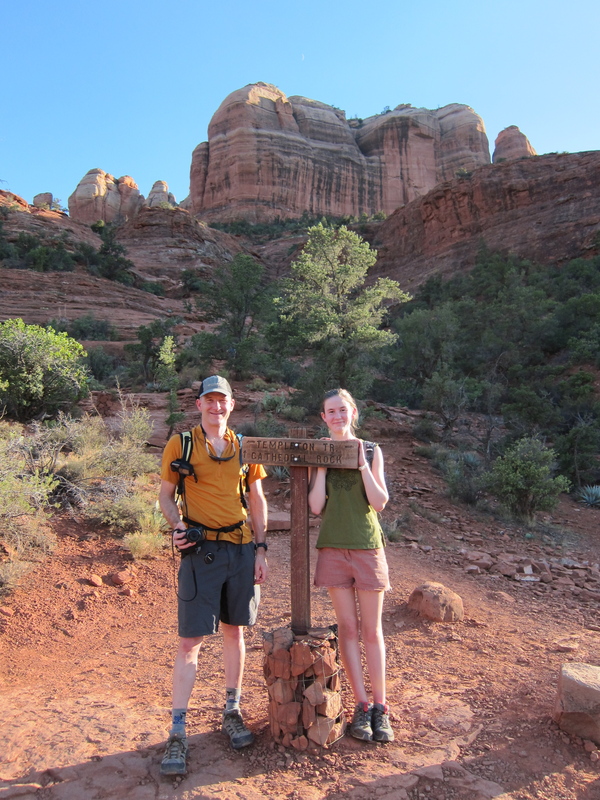 This last week Felkerino and I left the bikes at home and traveled to Sedona, Arizona, for five days of hiking with his daughter DF. Have you ever been? It was my fist time in the area, and I was constantly amazed by the beauty of its red rocks and vegetation. All of us wished to explore the area as much as possible during our time there, but we also needed to keep in mind each of our abilities. 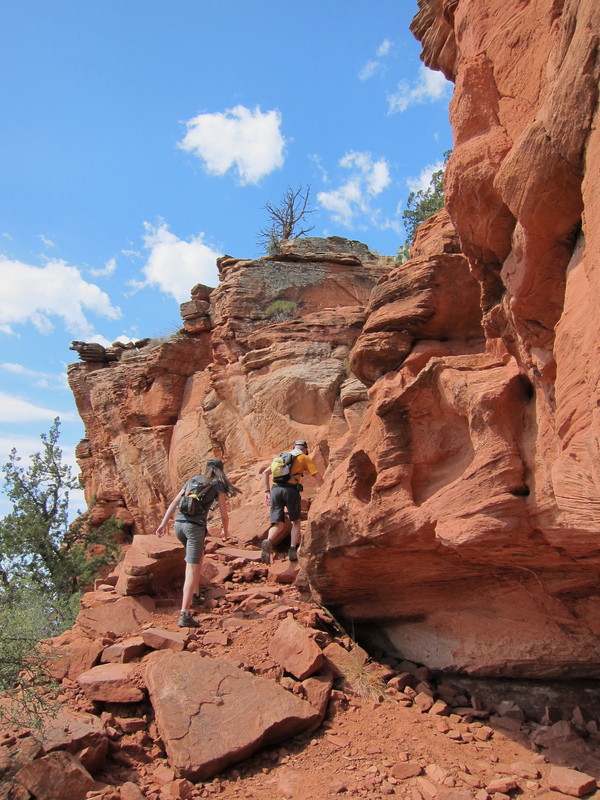 We did not want anyone to go uncomfortably beyond their personal limits, nor did we want anybody to feel like they had not had a solid outing on the trail each day. Felkerino rides in all types of weather, but he does not hike regularly. I run a lot, but generally on pavement and not in hilly terrain. DF walks many places, but those places are not as hot as the desert. 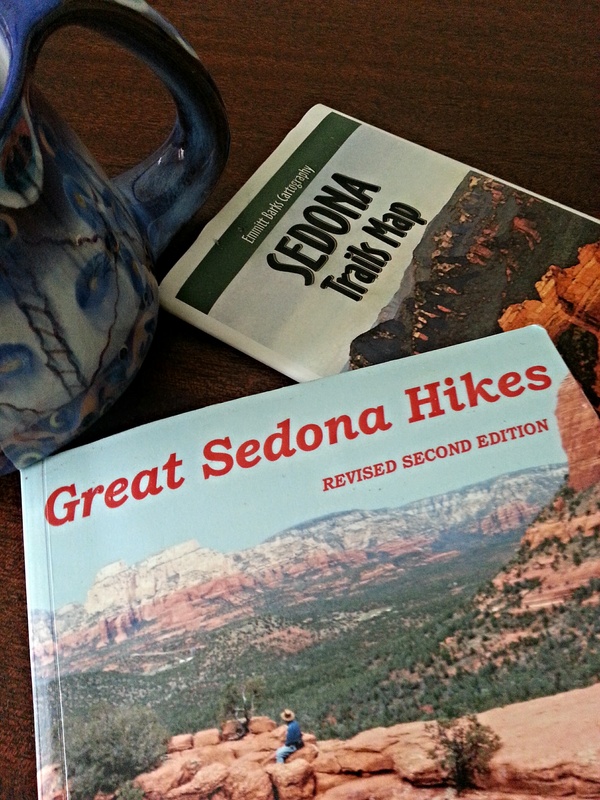 To plan our hikes I purchased a trail map of the Sedona area and a hiking guidebook. 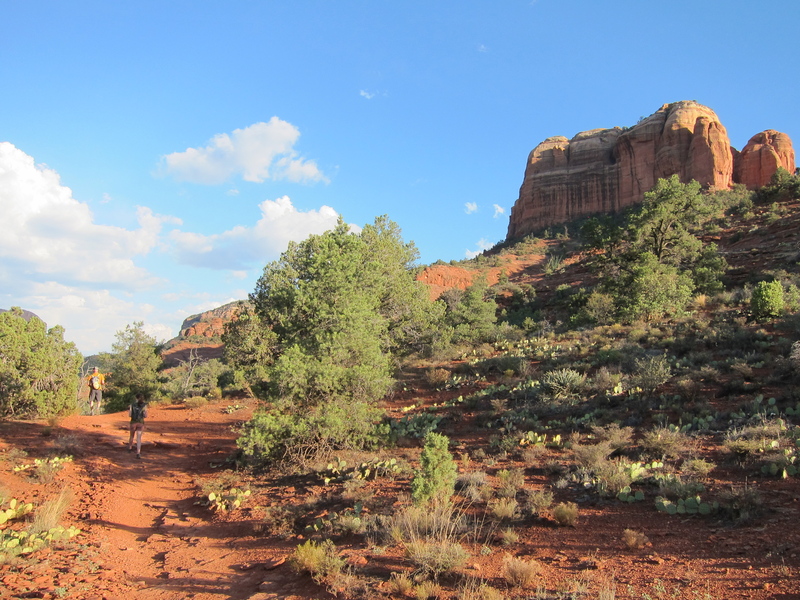 The Great Sedona Hikes also has a handy on-line site that I used to cross-reference any of the hikes we were contemplating. This advance preparation made the week run along quite smoothly. Felkerino, DF, and I committed to starting our hikes early enough to complete them before the midday heat, but not so early that we forgot we were on vacation. Temperatures generally ranged from the 70s in the morning up into the mid-90s by the afternoon. Humidity was nil, but the afternoon’s warmth was potent nevertheless. We hit the trail by 8:30 a.m. most days. Each of us used hydration packs and we always carried plenty of water and food for our outings. 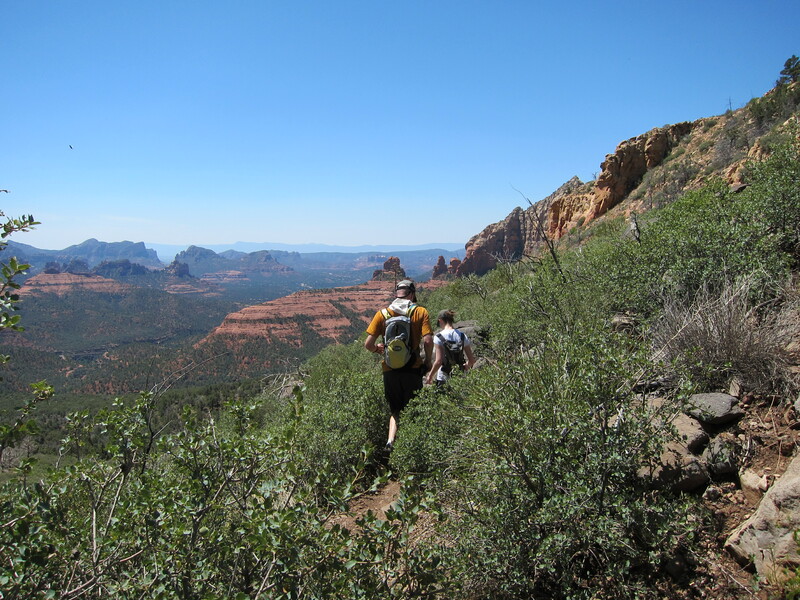 Our initial goal was to acclimate the group to Sedona– which sits at 4,500 feet above sea level– and to build our comfort with being on the trail. 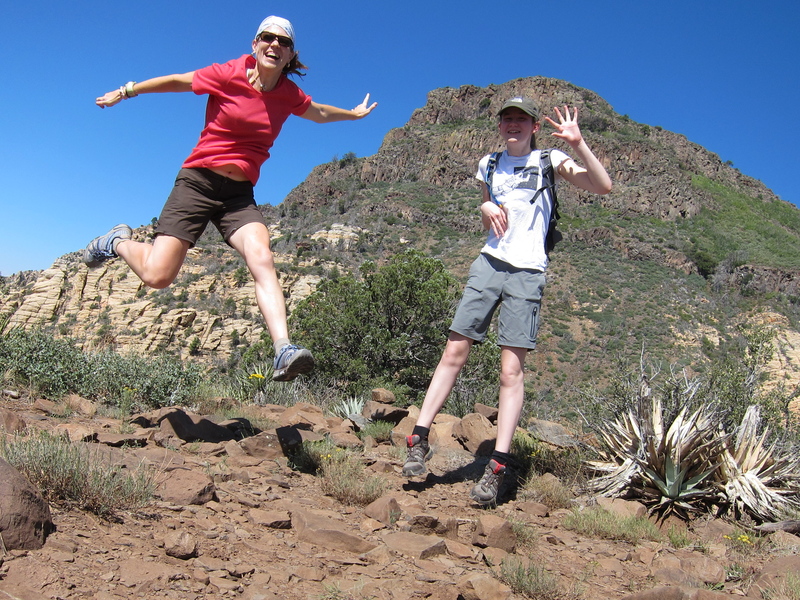 We planned our first two hikes accordingly, traversing terrain that was not very technical, not in bright sun, and with small elevation changes. We walked the Templeton Trail to the foot of Cathedral Rock on our first day. This was an afternoon hike, and it was gorgeous to see the colors of the landscape change as the sun sank lower in the sky. We ran out of time to climb Cathedral Rock, but that was alright. There were more red rocks in our future. 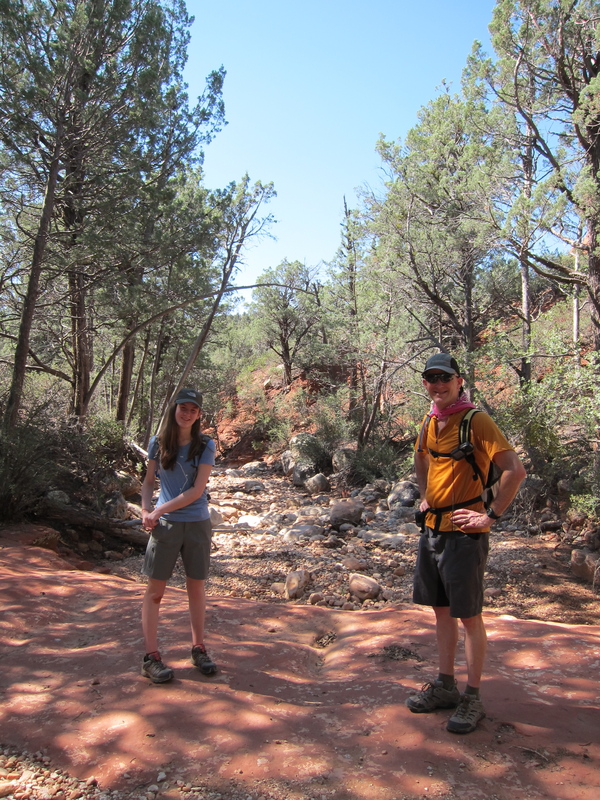 A meander through the Long Canyon Trail constituted our second day. 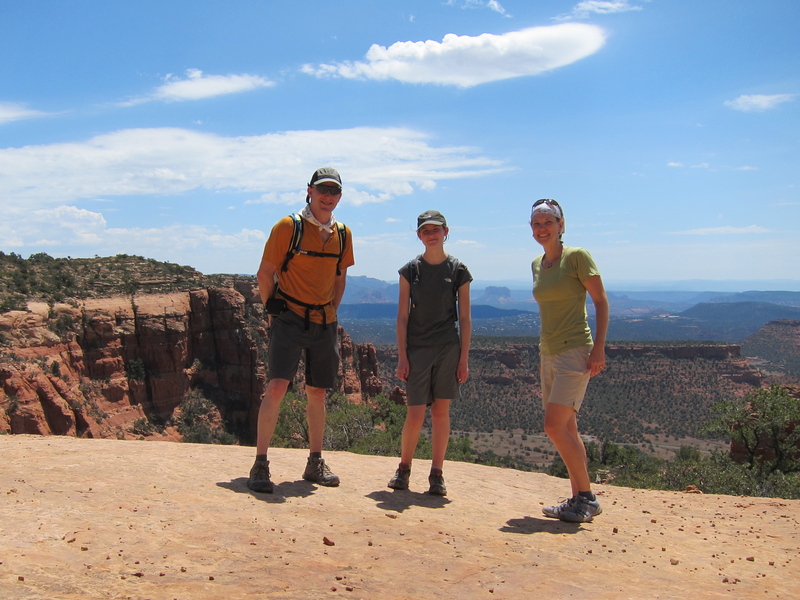 Long Canyon offered views of Sedona’s hallmark striated red rock formations as well as frequent sections of shade to aide our acclimation to the dry summer sun and heat. 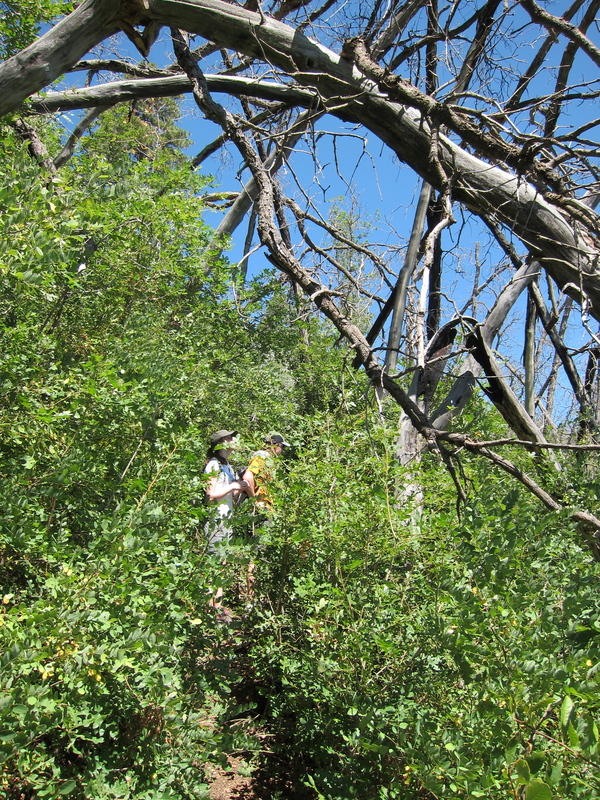 The following day we tackled Wilson Mountain until the final summit approach became too overgrown for our druthers. We turned back about a half-mile after the first spectacular overlook. Wilson Mountain was incredible. The further up we went the cooler the climbing became and we had many spots that offered expansive views of the area, including views back to Sedona as well as toward the San Francisco Peaks of Flagstaff. Wilson Mountain. I love it! Day Four of our stay we continued to up the ante with a steepish unshaded climb up Bear Mountain after a sunny two-mile stroll on the Aerie Trail. Bear Mountain was another climb where no matter where you turned your head the views were spectacular. The contrast of the varying shades of burnt orange and red piercing the blue sky constantly took my breath away. 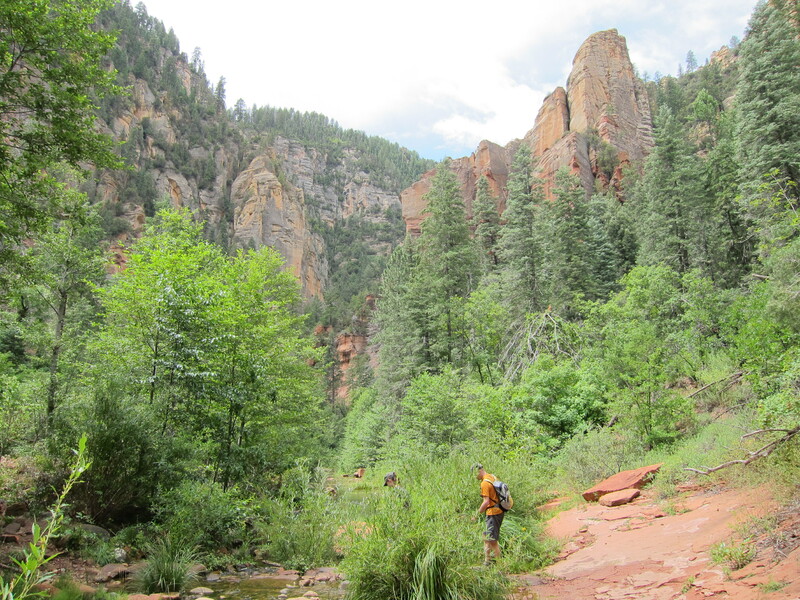 For our final day we went north of Sedona to hike the West Fork Trail , a mellow and mostly shaded 7-mile stroll around Oak Creek in the midst of a red rock canyon. We chose this hike because people in the area really hyped it up and because the shaded trail would mean we did not have to fret as much about starting as early, giving us a little play between checkout, breakfast, and starting our hike. Ultimately, we probably could have done one of several hikes in the area, as the day started out cloudy, cool, and rainy. We stuck to our initial plan, though, and headed to the trailhead after our morning coffee stop. The hike was pretty, but with the exception of the canyon (a big exception, I know) the area reminded me of areas out east. Also, the trail was super crowded and it was tough for me to have any comtemplative moments as we navigated our way around other groups. I was glad we hiked West Fork, as it was an interesting change from sunny desert hikes to a shaded creek bed meander, but it was way too populated for my preference. Overall, I was happy with how we planned our week. 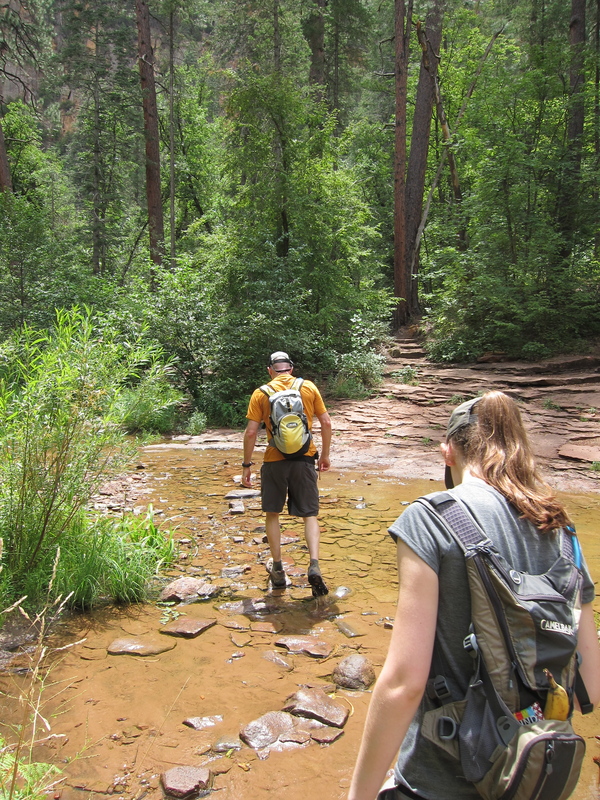 We chose hikes with varied terrain in different parts of Sedona, all of which were beautiful. We planned our days around everyone’s abilities. We kept an eye on each other each day to make sure that everybody felt like they were actually on vacation most of the time. 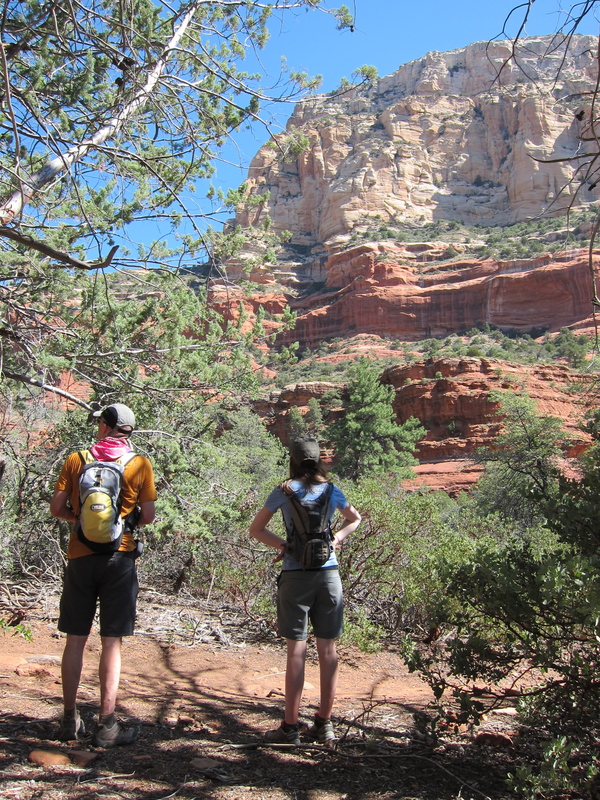 Each trail rewarded our efforts with the enjoyment of shared company and scenic views. There’s nothing like being able to directly connect to the earth. It’s one of the many reasons that I love riding my bike as well as spending time in my trail runners. 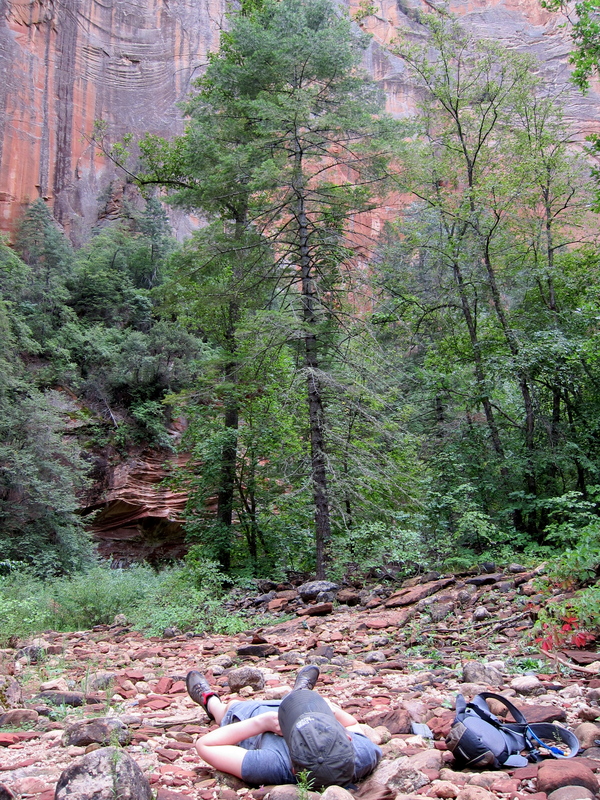 Sedona is a special place and I am grateful Felkerino, DF, and I explored it together on our two feet. Our careful planning made for days well-spent with many carefree moments along the way– just like a good vacation should be. Trees? I’ve been imagining that part of the country all wrong. I had been, too! Just adds to the appeal of the area. 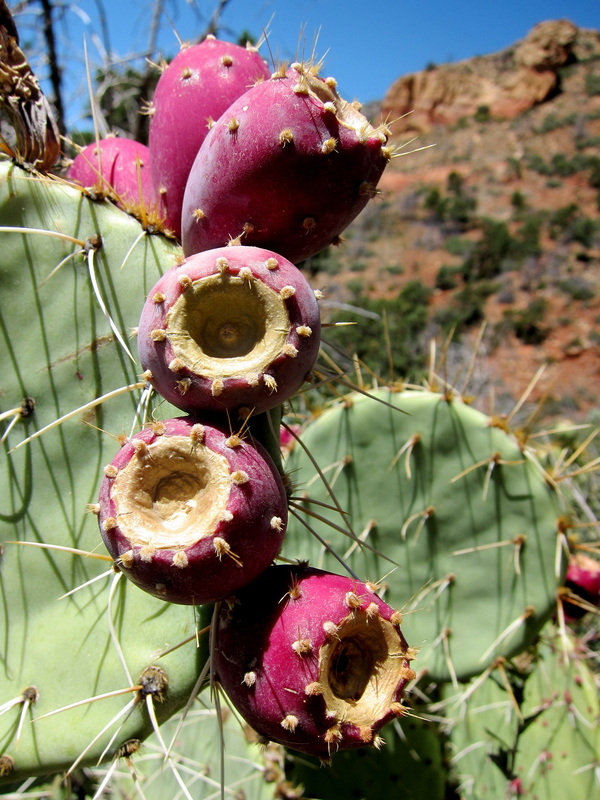 Sedona is a lovely part of the state with some great day hikes. The crowds and traffic can be a little much, as you also found. If you drove up there from Phoenix, you drove by some other, less populated, yet amazing in their own ways, places that you could possibly check out next time. 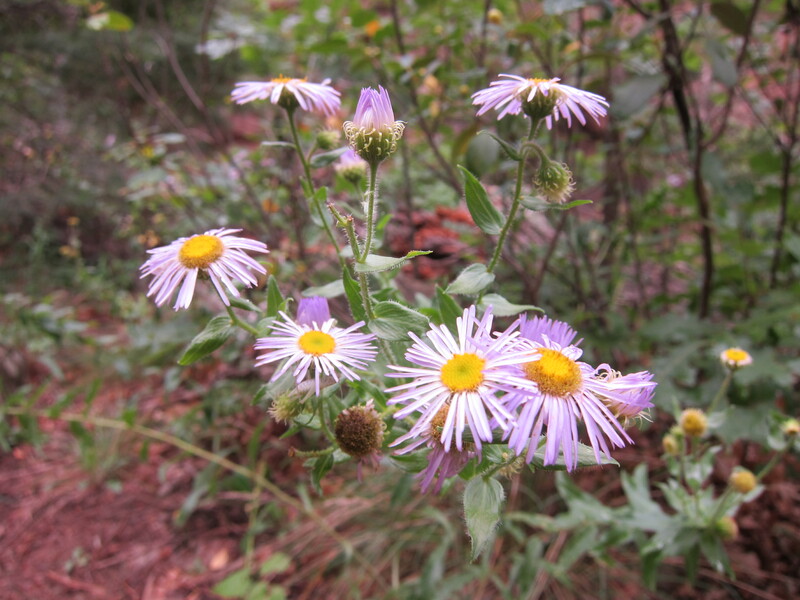 The state is full of wild places that just need to be walked. 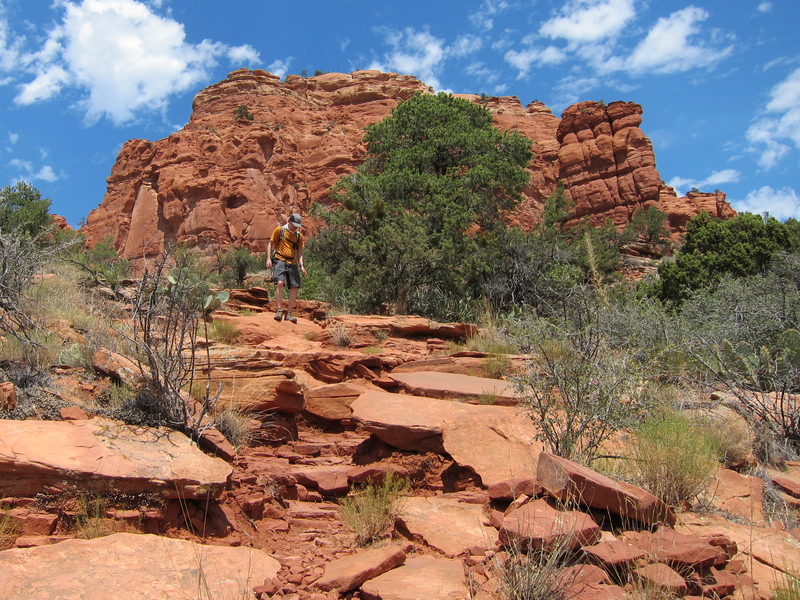 Some day, I have the Blue Range Primitive Area / Wilderness in my plans, and eventually, some or all of the Arizona Trail. In the past, I spent time in some places where I didn’t see anyone else for three days. Come back some time, there’s a lot more to see! I love exploring your state! Might have to hit you up for some recommendations on a future trip out to AZ. 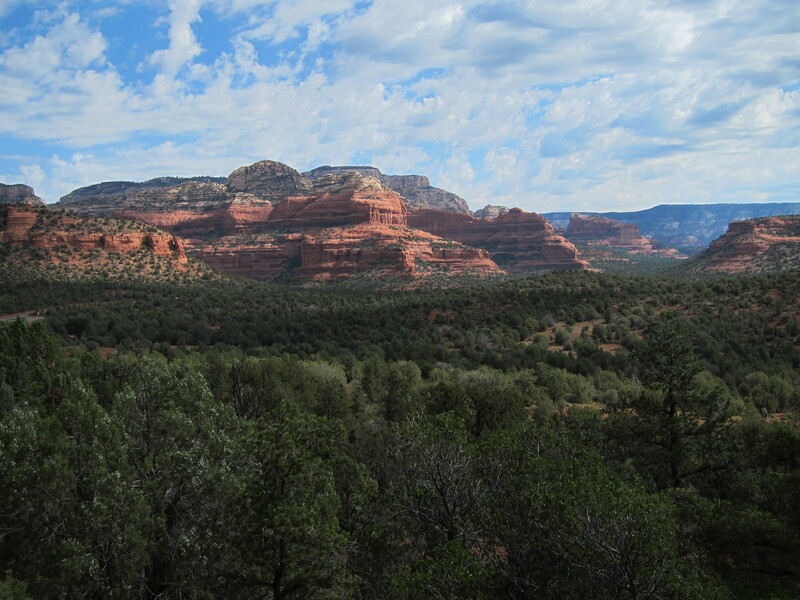 I’ve been to Sedona a couple of times. The last as a mountain bike Thanksgiving vacation. It was wonderful though a huge storm (and said to last a few days) came in our last day and we decided to leave 1 day early rather than sit in a tent for the remainder. Have you ever ridden your bikes there? Wow, yours sounds like a beautiful trip! We have never ridden in the area. Not sure if we would as we like gravel road touring, but we’re not really mountain bikers… yet! We really enjoyed Sedona. Certainly a feast for the eyes, and one day we did a mountain bike ride, tame terrain for the most part, and the most fun I’ve had in ages.